The Stone Avenue station renovation project was honored at the Landmarks Illinois 2016 Richard H. Driehaus Foundation Preservation Awards ceremony on Saturday, October 22, 2016. Each year, Landmarks Illinois and the Richard H. Driehaus Foundation honor individuals, organizations, projects and programs whose work demonstrates a commitment to excellence in historic preservation. 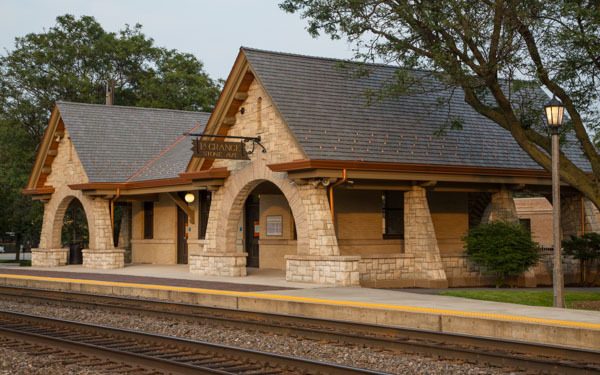 As a recipient of this prestigious award, the Stone Avenue station project shared the limelight with eight other historic preservation/restoration projects, including Chicago’s Londonhouse and the Grand Army of the Republic Memorial Museum in Aurora. Read more about this exciting recognition in our fall newsletter!